Protein, essential for life and good health, is somewhat of a puzzle to those who want to understand how to stay healthy and maintain a good weight. 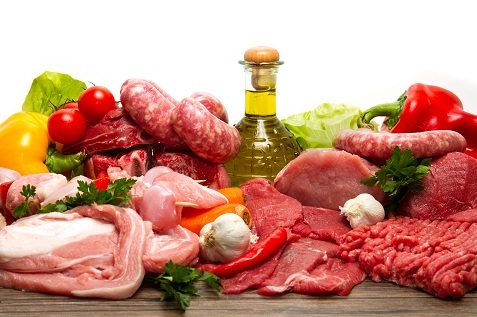 We know protein is essential, but many don’t know too much information beyond that. 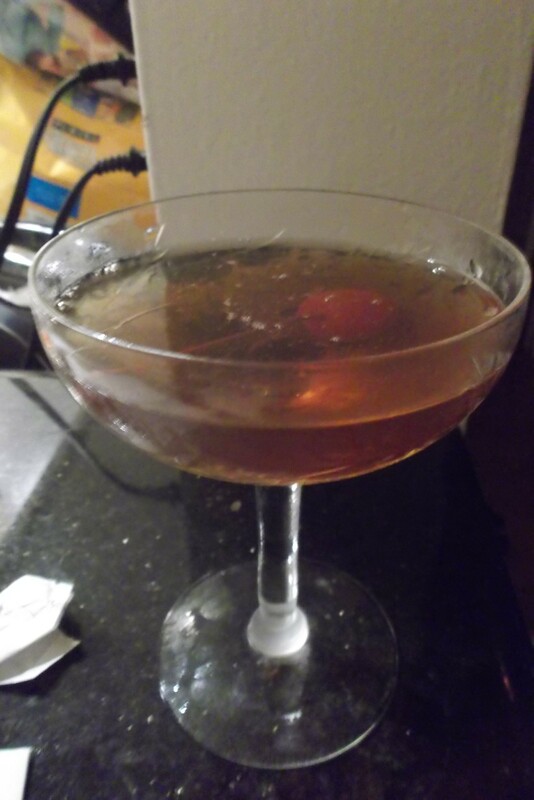 Is there a limit to how much we should ingest? Should we depend on alternative sources like vitamins and powders for added protein? Is it unhealthy to opt for a vegetarian or vegan diet? American doctors suggest a minimum of 8 grams of protein per 20 pounds of body weight. The Institute of Medicine suggests that protein account for 10% to 35% of caloric intake. Aside from medicinal recommendations, there’s little evidence of a ‘magic number.’ In America, recommended daily intake is 46 grams for adult women and 56 grams for men. But, why do we need protein at all? It’s incredible to think that in the short 10 years since the release of “Shaun of the Dead,” the zombie comedy has practically become its own subgenre, even spawning several “rom-zom-coms” (romantic zombie comedies, a term coined during the marketing for that film) in the process. But while Edgar Wright’s 2004 debut was a blisteringly funny homage to zombie movies, there’s yet to be another film that even comes close to matching its genre-bending wit and sense of fun. 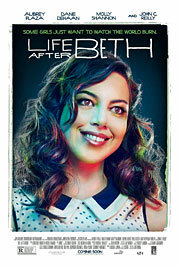 Which brings me to “Life After Beth,” the latest rom-zom-com to try and fail at duplicating that success. Surprisingly dull and unfunny for the talent involved, “Life After Beth” is a dead-on-arrival comedy that’s just as much in need of some brains as its title character. Dane DeHaan stars as Zach, a gloomy teenager mourning the death of his girlfriend, Beth Slocum (Aubrey Plaza), after she was killed by a snakebite while hiking alone in the woods. Depressed and seeking comfort from Beth’s parents (John C. Reilly and Molly Shannon), Zach is offended when the couple suddenly cuts him off without so much as an explanation. So when Zach goes to their house looking for answers, he’s shocked to discover that Beth is very much alive, although without any memory of the past few days. While they’re not exactly sure how it happened (the possibility of a Jesus-like resurrection is debated), the Slocums are just happy to have their daughter back, and they’re willing to let Zach continue to see her if he promises to keep Beth’s return from the grave a secret. But as Zach attempts to rekindle their relationship, he can’t shake the feeling that something isn’t right with her. 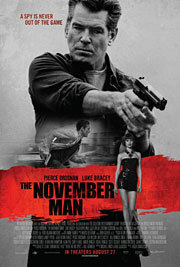 Think of “The November Man” as “Mission: Impossible” with extreme prejudice. Ethan Hunt wouldn’t kill anyone that he didn’t absolutely have to kill, but Pierce Brosnan’s ex-CIA spook Peter Devereaux lives by no such code. If anything, he’s a “Do as I say, not as I do” kind of guy, which would normally make someone an antihero, but we’re talking about Pierce Brosnan here. He doesn’t know how to do antihero: even as he steals booze and downs it like it’s his last night on Earth, he’s just too damn likeable. Ultimately, this works in the movie’s favor, as Brosnan’s presence excuses a fair amount of shortcomings. The end result is boilerplate, but entertaining, just twisty enough to keep the audience guessing. The movie opens in 2008 with Devereaux showing the ropes to new recruit David Mason (Luke Bracey) on a mission. Mason doesn’t follow Devereaux’s instructions to the letter, and though the two accomplish their mission, a civilian dies in the process. Fast forward five years, and a now-retired Devereaux is roped in by former colleague John Hanley (Bill Smitrovich) to help extract a CIA contact who has valuable intel on Russian general and soon-to-be president Arkady Federov (Lazar Ristovski). The extraction is botched on a number of levels, but Devereaux is able to get the name of the person the contact is protecting. Devereaux discovers that the mystery person is a refugee, and contacts a local shelter to ask for help. Shelter employee Alice (Olga Kurylenko) doesn’t have any answers, but Devereaux knows that her life is now in danger and that if he doesn’t protect her, she will be dead by sunset. In a second, Devereaux inherits three tasks: find the mystery girl, protect Alice, and continue to play cat and mouse with Mason, who’s clearly out to prove himself to his former mentor.